Positive Thinking Tips_Positive Thinking Exercises are a good way to develop a healthy balance in life where your positive attitude is stronger than your negative one. "The positive thinking that typically comes with optimism is a key part of effective stress management. And effective stress management is associated with many health benefits. If you tend to be pessimistic, don't despair — you can learn positive thinking skills. It's unclear why people who engage in positive thinking experience these health benefits. One theory is that having a positive outlook enables you to cope better with stressful situations, which reduces the harmful health effects of stress on your body. It's also thought that positive and optimistic people tend to live healthier lifestyles — they get more physical activity, follow a healthier diet, and don't smoke or drink alcohol in excess." The Power of Positive and using Positive Thinking Tips_ Positive Thinking Exercises can enhance your life beyond what you can imagine. Include this practice in your everyday life and watch it change. So why is Positive Thinking Tips_ Positive Thinking Exercises Important? 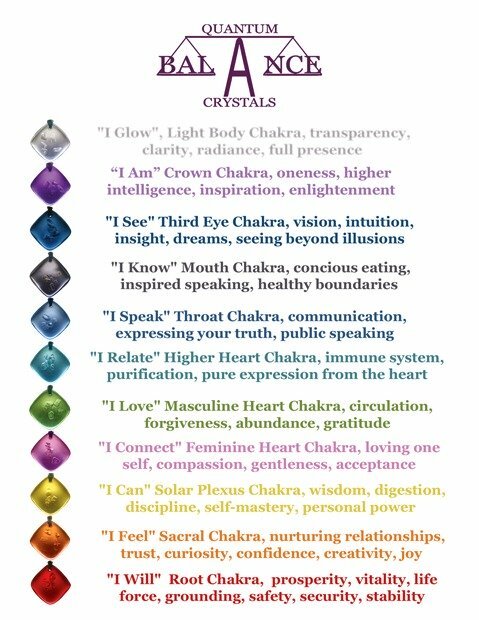 It has been known by all nationalities, religions and spiritual teachers, since the beginning of time that the Power of the Mind or our Higher Self are the key to creating what you want out of life. 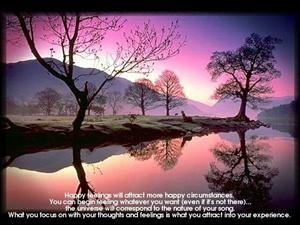 Here is where the Law of Attraction and the Power of Positive Thinking Exercises work together. In order to turn the Mind toward the positive, inner work and training are required. Attitude and thoughts do not change overnight. 1: Goals: Think about what you want to change in your life. What is it going to take to get your life where you want it. Here is where a little negative thinking could be your friend. What I mean by this is, you need to look deep within and really see the negative traits that are holding you back from that person you want to become. Daily Reflections are a good way to start your day. Take the time to meditate and get yourself quiet enough to hear your inner voice I know that when I am in trance like conditions the information I receive is far wiser than myself. 2: Accentuate the Positive: This is where we all have to make some simple choices, What do we think about today. How do we act. There is going to be thousands of choices to be made, things will happen all around you, things will happen to you, how you react will make the difference on how you feel at the end of the day. Law of Attraction Techniques will give you great insight in accomplishing this step. Accentuate the positive as in The Power of Positive Thinking. 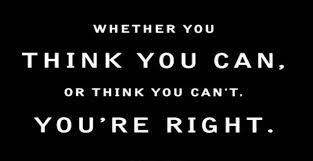 Always think to yourself Positive Thinking Exercises. It will become a habit. 3: The world is what you think it is: Why do all these things keep happening to me? No matter how hard I try, negative things keep happening. I wish there was a way to control these things. If all these people were not jerks, I would be more peaceful. Does this sound familiar? It was me for many years. The Power of Positive Thinking really does exist. It would be beneficial to understand how it works. Everything starts in your Mind and how you see or view the world. 4: To Love is to be Happy: This step is something I learned in Kindergarten and I am sure you did too. You must agree that how we view one another and how we react to a situation is the key to how we are going to experience our day. Whether you love someone or withhold it only affects you in the end. This is all about how you feel about yourself. I know that when my self esteem increased I was able to view the world and my part in it differently. Love really is the answer, The more you give, the more you receive and your experiences and interactions will change for the positive, This has a snowball effect. The more you get, the more you will like it , so the more you will give and so on. 5: All power comes from within: Energy flows where attention goes; Now it is up to you. You are in charge of your life and how it flows. Positive Thinking Tips_Positive Thinking Exercises? This can be the first day of the Rest of Your Life. Today is POSITIVE THINKING DAY. For me, I just got so tired of things not going well. My life was not full of happiness [maybe brief periods but it never lasted.] It was a constant battle to accomplish the things I wanted to do. My relationships were touch and go and my job situation was constantly changing. It was not until I embraced the Power of Positive Thinking that my attitude and how I viewed the world and the people in it changed. Now all of a sudden things appeared different. I saw how things could be, how people places and things were looking different. My life became more rewarding and I experienced peace from the inside out. Little by little as my perspective on life and how I felt about myself began to change, I saw things around me start to change. I practiced positive thinking tips_positive thinking exercises daily. People came into my life that were able to help me with my change. I seem to be miraculously creating things I never would have dreamed possible. Every day my life becomes better and more rewarding. It may not be perfect everyday but I no longer am as effected because I know that it is temporary. I am now at peace and beginning to enjoy life thanks these principles. I pray that all who read this will find the inner strength and tools to put their life back on track. 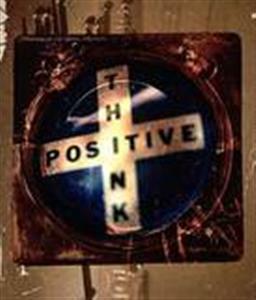 Positive Thinking Tips_Positive Thinking Exercises will work for you just as it had for me. It works for everyone. Visit Metaphysics-For-Better-Living.com which is a teaching website and start learning techniques to change your life.